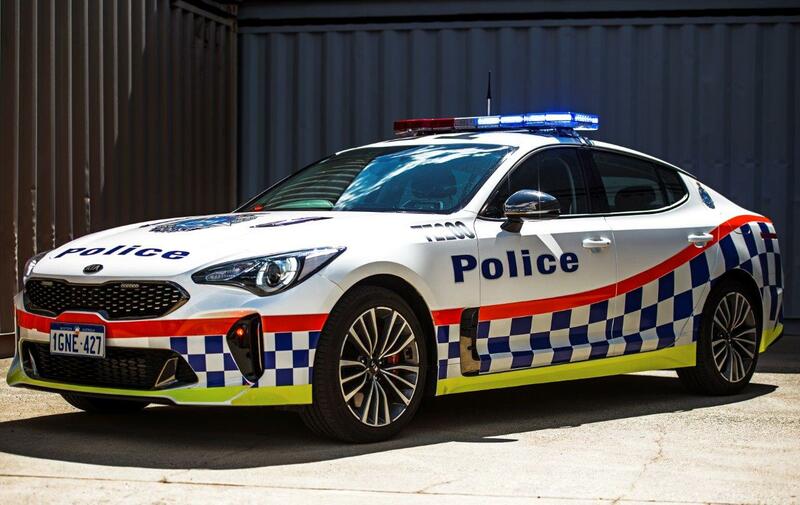 BACK in July, the Queensland Police put the Kia Stinger into active duty as part of it’s Road Policing Command, and now it’s Western Australia’s turn, with WA cops adding 50 Stinger 330 S variants to their fleet. The announcement was made by WA Police and Road Safety Minister Michelle Roberts as part of a road safety campaign targeting safe driving over the holiday long weekend. “We continue to give the Western Australian Police Force the money they need to replace their fleet and to provide the best service they can for the community of Western Australia,” Mrs Roberts said. The Stinger was selected after an extensive six-month assessment program during which the car met, or exceeded, key criteria in performance, safety, availability and cost effectiveness. As with Queensland, the WA fleet will be the entry-level bi-turbo V6 S model with 272kW of power and 510Nm of torque, providing out-of-the-box performance of 4.9 seconds for the 0-100km/h sprint. The cars join the force unmodified except for a plug-and-play wiring loom to manage the additional demands of multiple operational equipment systems. The Stinger is still be assessed by other states as an operational option to replace the superseded Highway Patrol fleets. A convoy of 60 of some of the most iconic muscle cars in Australia will embark on a 1,800km round trip tomorrow to help raise awareness and funds for the Leukaemia Foundation.